''This Entity, Whom we call the Solar Logos, is in no sense the same as the personal God of the Christian, who is no more nor less than man himself, expanded into a being of awful power, and subject to the virtues and vices of man himself. The solar Logos is more than man, for He is the sumtotal of all the evolutions within the entire solar system, including the human, which is an evolution standing at a middle point in relation to the other evolutions...A Solar Logos, the Grand Man of the Heavens, is equally spheroidal in shape. His ring-pass-not comprises the entire circumference of the solar system, and all that is included within the sphere of influence of the Sun. The Sun holds a position analogous to the nucleus of life at the centre of the atom. For a clearer comprehension of this abstract matter, we might consider the microcosm, or man evolving in the three worlds. Man is the product of the approximation (at present imperfect) of the two poles of Spirit (the Father in Heaven) and of matter (the Mother). The result of this union is an individualised Son of God, or unit of the divine Self, an exact replica in miniature on the lowest plane of the great Son of God, the All-Self, who is in Himself the totality of all the miniature sons, of all the individualised Selves, and of each and every unit. The microcosm, expressed in other terms or from the subjective point of view, is a miniature sun distinguished by the qualities of heat and light. At present that light is "under the bushel," or deeply hidden by a veil of matter, but in due process of evolution it will shine forth to such an extent that the veils will be lost from sight in a blaze of exceeding glory. At present the microcosmic heat is of small degree, or the magnetic radiation between the microcosmic units is but little felt (in the occult significance of the term), but as time proceeds, the emanations of heat,—due to intensification of the inner flame, coupled with the assimilated radiation of other units—will increase, and become of such proportions that the interaction between the individualised Selves will result in the merging to perfection of the flame within each one, and a blending of the heat; this will proceed until there is "one flame with countless sparks" within it, until the heat is general and balanced. When this is the case and each Son of God is a perfected Sun, characterised by perfectly expressed light and heat, then the entire solar system, the greater Son of God, will be the perfected Sun. The system will then be characterised by a "blaze of refulgent glory," and by a radiation that will link it up with its cosmic centre, and thus effect the liberation of the Son, and His return to the far distant source from whence the primal impulse originated...Not until each cell in His body is a sphere of radiant glory—a blaze of fire and light, and a source of magnetic radiation or heat, occultly expressed, will the Son in the Heavens "shine forth." From the cosmic point of view, as we know, our sun is but of the fourth order, and on the lowest cosmic plane. When the Son has, through the Sun, attained full expression (that is, perfected His display of light and heat) then He will shine forth upon another plane, that of the cosmic mental. d. Achieving full mastery or control. e. Attaining "manhood" cosmically. The cosmic Christ must measure up to the stature "of a full grown man," as it is expressed in the Christian Bible. 1. That the entire solar system embodies the consciousness of an Entity, who originates on planes entirely without the solar ring-pass-not. b. The periodicity of the Universe. This Entity, Whom we call the solar Logos, is in no sense the same as the personal God of the Christian, who is no more nor less than man himself, expanded into a being of awful power, and subject to the virtues and vices of man himself. The solar Logos is more than man, for He is the sumtotal of all the evolutions within the entire solar system, including the human, which is an evolution standing at a middle point in relation to the other evolutions. In terms of quality what have we? Active intelligence at one with will or power produces that "Son of necessity" (as H. P. B. expresses it) Who embodies intelligence, will or desire, and their united latent demonstration, love-wisdom. In terms of Fire how might we express an analogous thought? The fire latent in matter-itself a product of an earlier manifestation of the same cosmic Identity, or the relatively perfected quality worked out by Him in a previous cosmic incarnation-is set in motion again by the desire of that same Identity to circle once more the wheel of rebirth. That "fire by friction" produces heat and radiation and calls forth a reaction from its opposite "electric fire" or spirit. Here we have the thought of the Ray striking through matter, for the action of electric fire is ever forward, as earlier suggested. The one Ray "electric fire" drops into matter. This is the systemic marriage of the Father and the Mother. The result is the blending of these two fires, and their united production of that expression of fire which we call "solar fire." Thus is produced the Son. Active Intelligence and Will are united and love-wisdom, when perfected through evolution, will be the outcome. Electric fire or Spirit, united to fire by friction (heat) produces solar fire or light. Hence, when the cosmic Entity takes form, there is added to the active intelligence which is the product of His earlier incarnation, a further quality, which is inherent and potential, that of love-wisdom. This is the ability to love that which is objective or the not-self, and ultimately to use with wisdom the form. Pure will is as yet an abstraction, and will only be brought into full development in another incarnation of the Logos. Mind or Intelligence is not an abstraction; it is something that IS. Neither is love-wisdom an abstraction. It is in process of development or bringing into manifestation, and is the aspect of the Son. What is above stated is in no way new, but these thoughts on essential duality are gathered together, in order to convey to our minds the necessity of viewing these things from the standpoint of their place in the cosmic scheme, and not from the point of view of our own planetary evolution and of man himself. Humanity is that evolution through which the Son aspect is to express itself most perfectly in this cosmic incarnation. Man blends the pairs of opposites, and the three fires meet in him. He is the best expression of the manasic principle and might be considered, from one very interesting standpoint, the chef-d'oeuvre of Brahma. The evolution of the Son, or the cosmic incarnation of the Christ, is of immense importance in the plans of the Being greater than the solar Logos, HE ABOUT WHOM NAUGHT MAY BE SAID. The animating principles of allied constellations and systems watch the progress of the evolution of the Son with keenest attention. Just as the planet called the earth is regarded as the turning point or the battle-ground between Spirit and matter, and is therefore, from that very consideration, of great importance, so our solar system holds an analogous place in the cosmic scheme. The cosmic man, the solar Arjuna, is wrestling for His individualised perfected self-consciousness, and for freedom and liberation from the form, and from the not-self. So man on this planet battles for similar ideals on his tiny scale; so battle in heaven Michael and His Angels, or the divine Heavenly Men, Whose problem is the same on the higher scale. a. Objectivity, or the manifested Son or Sun. c. The development of quality. Consciousness might be defined as the faculty of apprehension, and concerns primarily the relation of the Self to the not-self, of the Knower to the Known, and of the Thinker to that which is thought about. All these definitions involve the acceptance of the idea of duality, of that which is objective and of that which lies back of objectivity. The whole aim of progressive development is to bring the Son of the Father and the Mother, to a point of full realisation, of complete self-consciousness, and to full and active knowledge. This Son is objectively the solar system, inherently will or power, and subjectively He is love-wisdom. This latter quality is in process of development through the utilisation of active intelligence. The three manifested Persons of the logoic Triad seek full development by means of each other. The will to be, of the Mahadeva aspect, seeks, with the aid of the intelligence of Brahma, to develop love-wisdom, or the Son aspect, the Vishnu aspect. In the microcosmic system, the reflection of the threefold Logos, the man is endeavoring through the three vehicles to attain the same development on his own plane. On higher planes the Heavenly Men (through atma-buddhi-manas) aim at a similar progression. These two, the Heavenly Men plus the units in Their bodies, which are composed of deva and human monads form, in their totality, the Grand Heavenly Man. If these stated aims are carefully considered, it will be seen how each has its place within the plan, and how evolution is but a term used to express the gradual development in time and space of the inherent capacity of a human being, of a Heavenly Man, and of the Grand Man of the Heavens. The place and position of one and all to each other must be borne in mind, for no one can develop without the other. What, therefore, have we? a. The Son, the Grand Man of the Heavens. He manifests through the Sun and the seven sacred planets, each of whom embodies one of His seven principles, just as He in His totality embodies one of the principles of a greater cosmic Entity. b. A Heavenly Man. He manifests through a planet, and embodies one of the principles of the Son, the Logos. He Himself is likewise developing through seven principles, which are the source of His essential unity with all other Heavenly Men. Cosmically considered, the Son is developing the principle of a greater cosmic Being, that principle which we call love-wisdom. That is the fundamental characteristic He has to develop during His life cycle. Each Heavenly Man, therefore, embodies predominantly a subsidiary principle of the fundamental one. In like manner He Himself has six subsidiary principles, as has the Son. If we ask why ten schemes, and in effect ten planets (seven sacred and three concealed) it is because the seven sacred planets are eventually merged into the three, and finally the three are blended into the one. This can be traced along the line of analogy as we consider the seven Rays. These seven Rays, which in manifestation are diverse, are eventually synthesised. The minor four are blended, we are told, into the third major ray, and the three major rays are finally merged into the one synthetic ray, the Love-Wisdom Ray (the Dragon of Wisdom, the occult serpent swallowing its tail). Man has for his primary coloring or principle that of the Heavenly Man in Whose body he is a unit. He has also the other two major principles (as has the Heavenly Man), and their differentiation into the seven as earlier said. The atom has for primary coloring or principle, that of the egoic ray of the human being for instance in whose body it finds place. This, of course, is in connection with the physical atom in a man's body. This coloring manifests as the vibration setting the measure of the major three spirillae and the minor seven. A Solar Logos, the Grand Man of the Heavens, is equally spheroidal in shape. His ring-pass-not comprises the entire circumference of the solar system, and all that is included within the sphere of influence of the Sun. The Sun holds a position analogous to the nucleus of life at the centre of the atom. This sphere comprises within its periphery the seven planetary chains with the synthesising three, making the ten of logoic manifestation. The Sun is the physical body of the solar Logos, His body of manifestation, and His life sweeps cycling through the seven (planetary) schemes in the same sense as the life of a planetary Logos sweeps seven times around His scheme of seven chains. Each chain holds a position analogous to a globe in a planetary chain. Note the beauty of the correspondence, yet withal the lack of detailed analogy. A solar Logos contains within Himself, as the atoms in His body of manifestation, all groups of every kind, from the involutionary group-soul to the egoic groups on the mental plane. He has (for the animating centres of His body) the seven major groups or the seven Heavenly Men, who ray forth Their influence to all parts of the logoic sphere, and who embody within Themselves all lesser lives, the lesser groups, human and deva units, cells, atoms and molecules. Seen from cosmic levels, the sphere of the Logos can be visualised as a vibrating ball of fire of supernal glory, containing within its circle of influence, the planetary spheres likewise vibrating balls of fire. The Grand Man of the Heavens vibrates to a steadily increasing measure; the entire system is tinctured by a certain color,-the color of the life of the Logos, the One Divine Ray; and the system rotates to a certain measure, which is the key of the great kalpa or solar cycle, and revolves around its central solar pole. The solar Logos is distinguished by His activity on all the planes of the solar system; He is the sumtotal of all manifestation, from the lowest and densest physical atom up to the most radiant and cosmic ethereal Dhyan Chohan. This sevenfold vibratory measure is the key of the lowest cosmic plane, and its rate of rhythm can be felt on the cosmic astral, with a faint response on the cosmic mental. Thus the life of the logoic existence on cosmic levels, may be seen paralleling the life of a man in the three worlds, the lowest of the systemic planes. First. Rotary motion. His life as it cycles through a day of Brahma, can be seen spiralling around His greater wheel, the ten schemes of a solar system. Numerical factors involved in cosmic mathematics. He is the embodiment of cosmic manas, and through the use of this faculty He seeks-by means of animated form-to build into His cosmic causal (soul) body, a paralleling quality of love-wisdom. 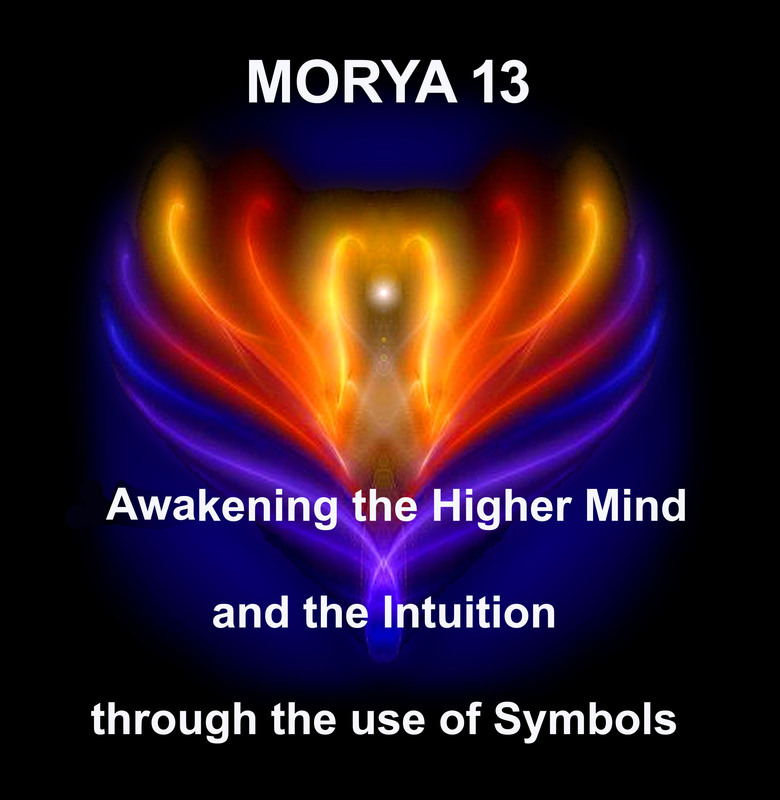 -The solar Logos contains within Himself the three major principles or aspects, and their differentiation into seven principles. These make the ten of His ultimate perfection and are eventually synthesised into the one perfected principle of love-wisdom. This ultimate principle is His primary coloring. Each principle is embodied in one of the schemes, and is being worked out through one of the Heavenly Men. Only four principles are as yet manifested to any extent, for the evolution of the Logos parallels that of the Heavenly Men. 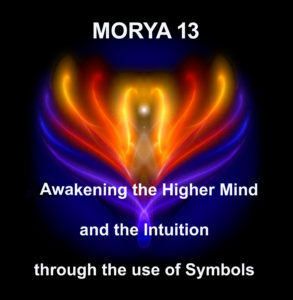 -The solar Logos is governed by the Law of Synthesis. He holds all in synthetic unity or homogeneity. His subjective life is governed by the Law of Attraction; His material form is governed by the Law of Economy. He is coming under another cosmic law as yet incomprehensible to men, which law is but revealed to the highest initiates. -The solar Logos is in process of ascertaining His place within the greater system in which He holds a place analogous to that of a Heavenly Man in a solar system. He seeks first to find the secret of His own existence, and to achieve full Self-Consciousness; secondly to ascertain the position and place of His polar opposite; thirdly to merge and blend with that polar opposite. This is the cosmic marriage of the Logos. Electrical stimulation or His response to electrical fohatic force emanating from other stellar centres, and controlling largely the action of our system and its movements in space in relation to other constellations. Magnetic stimulation, acting upon His subjective Life, and emanating from certain cosmic centres hinted at in the Secret Doctrine. These find their source on cosmic buddhic levels. It is their united effect which induces steady development. 1. By the spheroidicity of His manifesting existence. His solar ring-pass-not is definite and seen. This can only be demonstrated as yet by the endeavour to ascertain the extent of the subjective control, by the measure of the solar sphere of influence, or the magnetic attraction of the Sun to other lesser bodies which it holds in circular motion around itself. 2. By the activity of the life animating the ten schemes. 3. By the extent of the control exerted by the Logos at any given period. 4. By the ultimate synthesis of the seven schemes into three and thence into one. This covers the obscuration of the schemes and the unification of the seven principles which they embody. 5. By His subjection to the Law of His Being. 6. By His group relation. 7. By His unfoldment of Consciousness, the time factor being controlled by the measure of the unfoldment of all the conscious units in His body.